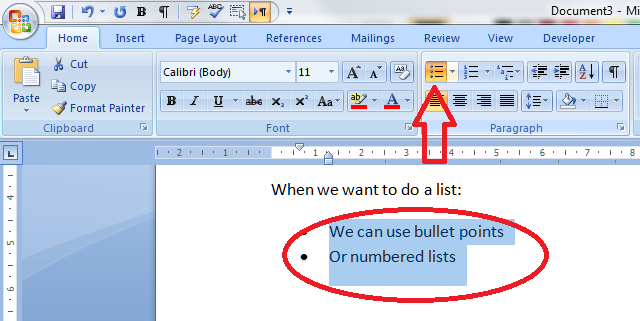 Last week we talked about when to use bullet points and how to personalise them. This week, we’re going to have a look at the actual language of bullet points, including top tips on making them easy to understand for the reader. There are two parts to this: word forms / grammar and punctuation. Of course there is a place for punctuation, but it can get a bit messy looking, and I’m all for clean lines as long as you don’t forget your semi colons within normal runs of text! So, here are some things not to do. We never introduce a list in a sentence with a semi colon, and we don’t introduce a bulleted or numbered list with one, either. Regarding the full stop at the end of the last bullet point … well, the jury is out on that one. It’s one of those style choices that don’t have a specific rule. I’ve checked in my New Oxford Style Manual and my Oxford Guide to Plain English: the former doesn’t talk about the punctuation much at all, and the latter has some general standards to consider following. put a full stop at the end. More than one line of text which therefore forms a solid block when you look at it on the page. More than one sentence. It would look odd to have a full stop there and not here. But the single most important thing to do is KEEP IT CONSISTENT within each bulleted list! If you use capital letters or lower case letters to start each bullet, keep them the same throughout. If you end the first bullet with a full stop, end each of them with a full stop. But of course, you can use different styles for different lists, as the context demands, although I’d be wary of having wildly different ones very close together, as it can look messy. We insert bullet points into a text to make it more easy for the reader to understand. This means that the grammar within the bullet points should be consistent, so the reader doesn’t end up scratching their head and going over and over the same bit of text, trying to work it out. Even if the reader can understand the basic sense of this, the uncomfortable disconnect between the different grammatical forms bring the reader’s attention to the form of the text and not the meaning of its content. And that’s not what good, clear writing should do. However, this is one of the most common mistakes I find in the text I proofread and edit. 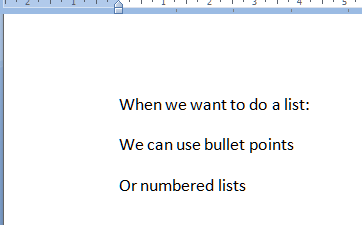 Especially if the bulleted list is long, the writer will lose track part way through and start going all inconsistent. Nice and tidy: everything following the same structure. 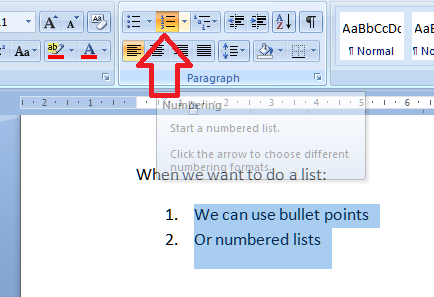 The grammar of bullet points must be consistent and matching so that the reader is not confused. It’s a different matter with the punctuation, which is, when it comes down to it, more of a matter of choice. 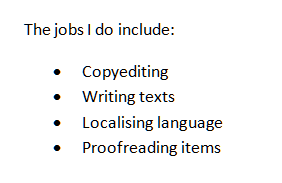 Personally, I prefer capital letters and no full stop in my bullet points, which is why, if you’re my client and your bullet point punctuation is a little inconsistent, you’ll find me using that as standard! So now you know all about how to insert and customise bulleted and numbered lists, and the grammar and punctuation to use with them! I hope you have found this helpful. We’ve already had one pair where I explain the difference between homo and hetero, so we know that the prefix “homo” will essentially introduce a word that’s all about two things being the same. But what happens when those words themselves all look horribly similar? These three are quite similar-looking technical words used in English literature and linguistics. It is important to know the difference if you are working in these fields. Homonyms have the same spelling or pronunciation but different meanings (the word comes from the Greek – having the same name), for example, pole and Pole, pear and pare, but also bass and bass. The homonym is the main class of words, divided into homophones and homographs. Homophones have the same pronunciation but different meanings, origins or spellings, new and knew, beat and beet, fair and fare. Homographs have the same spelling but different meanings, with either different pronunciations or the same pronunciation – for example bass (the deep singer) and bass (the fish), or cleave (separate) and cleave (join together). So, to annex is a verb, never has an e on the end, and means to add as an extra part or to appropriate territory. I can’t give an example of the latter without getting all political, but you could have a set of tables and a document they refer to, and decide to annex the tables to the document rather than present them separately. That’s an acceptable, discrete verb form, not one that’s been oddly made out of a noun (like “to inbox” – ugh) as far as I know. An annexe, the noun, is an addition to a document or building. Now, I have to admit that I thought the difference lay here, and that the e was only added for a building. But all of my good old Oxford sources say no, it’s used for both. So, “The table was added as Annexe 1 to our document”; “Coffee will be served in the annexe to the church”. Or, you can just skip the e there altogether. But you know me: I like to maintain different forms of words to preserve the variety of our language. So I say verb: no e; noun: add that e. Add it as an annexe, if you will! Why do we use bullet points? 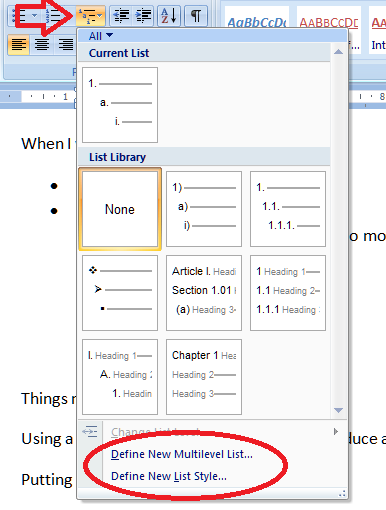 How do I use bullet points in Word? 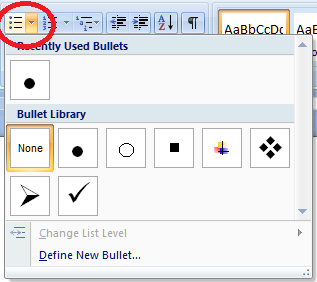 These are the buttons you need to make your bullet pointed lists. 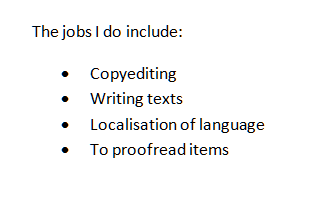 How do I create sub-bullet points? What if you want nested bullet points in sub-categories? That’s fine – put your list into bullets, then select just the line you want to change and click on the Increase Indent key to move it along one. You’ll see the bullet point itself (or the number) change when you do this. There’s another way to do this (of course there is!) – get your cursor just before the first letter of the first word of the line you want to indent and hit the Tab key on your keyboard. You will get the same effect. How do I customise my bullets and numbering? 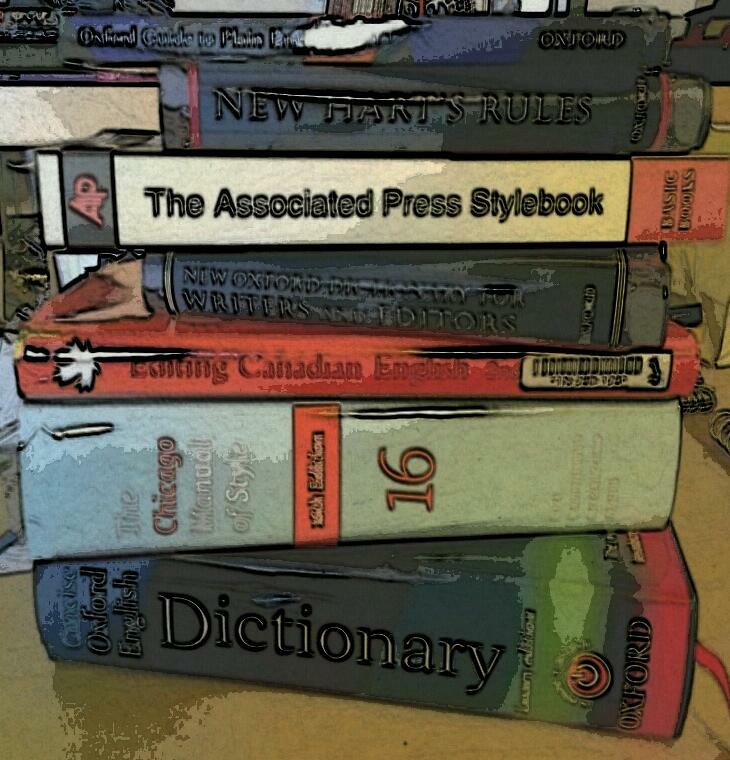 You may not like the standard bullet points you’re given by Word. That’s fine, because you can customise them. … and you’ll get a choice of different bullet markers you can use. If you click on Define New Bullet, you can even upload your own images to use as bullet points: useful if you’re creating a document that needs to be on brand with the rest of your brand identity, for example. 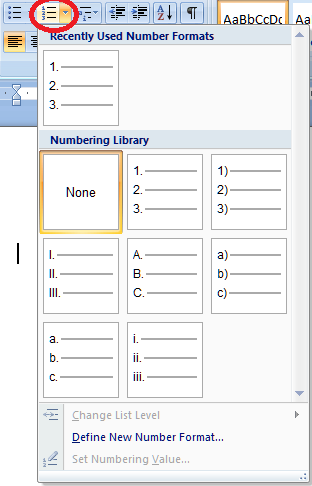 Again, you can define your own new number format if you want to. 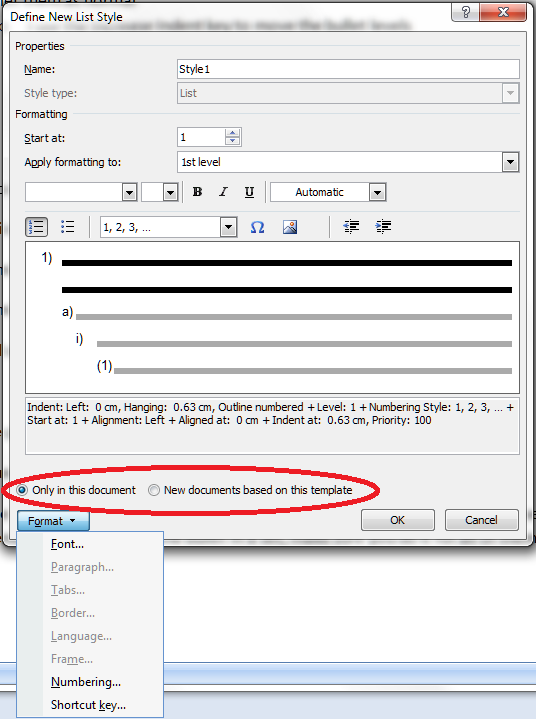 To go just that little bit deeper into customisation, you can also fully customise how the sub-bullets work and even set a new Style for this document or all future documents. To do this, we use the Multilevel List button. This one’s a bit of a swizz, I think – it gives you a tiny arrow on the right, but it doesn’t actually matter where on the button you click; you will still get the same menu. So this gives you the chance to choose between different multi-level list formats and to define your own. 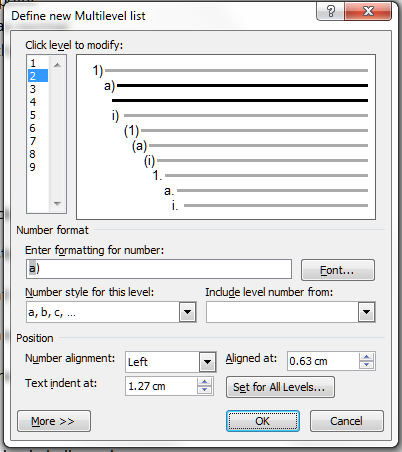 If you select Define New Mulitlevel List you will be given a new set of options. Choose this if you just want to change one list in your document. If you want to define a style for all of the lists in your document, or a new List Style to use in all documents forever, choose Define New List Style. Then you can go ahead and crate a new list style that will appear in your Styles on your Home tab, and can be used for lists in just this document, or documents from now on. We’ve learned how to set up and customise bulleted and numbered lists. Next week, we’ll look at the text you write in lists and how to make sure that works clearly and appropriately. Welcome to our Small Business Chat updates, this time with Sharon from Bee Spotted. No. We have progressed further than I had considered 12 months ago. We have had tremendous feedback from clients, which are growing rapidly, mainly through word of mouth referrals – which is great for business. Our team has grown but we still retain our personal service to all our clients at affordable rates. I have learnt to be stronger and have learnt that it is ok to say no – often with better results than saying yes to everything. What do I wish I had known a year ago? How to be assertive. Keep reviewing what you are doing. Don’t be afraid to ask for feedback from those around you, including potential clients and existing clients. It will only help you grow. Go back to your roots … enjoy what you do … and remember it is ok to have “me” time … you can be more productive when you are not working 24/7. Well, that’s pretty good going, isn’t it – and a good plan for the upcoming year, too. It’s great to build your business on word of mouth referrals, as they save on advertising, plus if someone is recommended to use you by a trusted friend or colleague, they are almost certain to book in with you and be an advocate of your services themselves, too. The Bee Spotted website is at www.beespotted.co.uk and you can phone the team on: 0845 519 7767 plus there are a whole load of social media links at the top of the web page. NOTE: As far as I can tell, the beespotted service is still going strong as of July 2014, however Sharon is no longer taking part in this interview series. We wish her and the company all the best for the future! I have come across this rather more times than I’d like recently. If anyone remembers the short-lived Libro character, Ranting Ron, who turned out to be too negative for this nice, friendly, supportive blog, he would have been ranting about this one .. Invite is a verb. It means to ask someone to go somewhere or do something, and can be informal (“she invited me to go for a coffee after yoga”) or formal (“Mr and Mrs Perkins invite you to the wedding of their daughter, Polly”). It can also be used to refer to eliciting a response of some kind – “I would like to invite questions from the audience”. Full stop. Invitation is a noun. It’s a written or verbal request inviting someone to go somewhere or do something. It’s the bit of card that is used to do this, which Mr and Mrs Perkins will send to you when they want to invite you to their daughter’s wedding. Invitation is the noun to invite’s verb. Now, I have to admit that the esteemed Oxford dictionaries do admit that there is an Informal use of invite to mean invitation. But I don’t think we need that, do we? 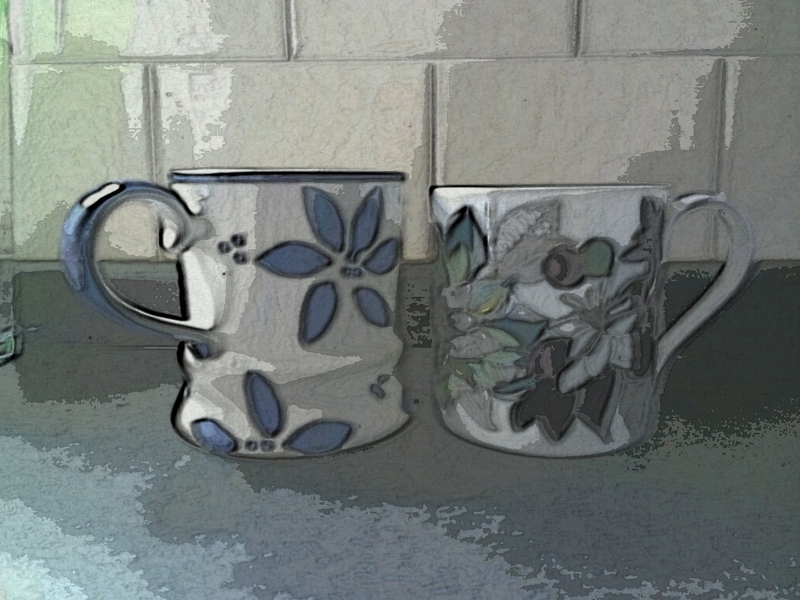 Let’s keep the distinction and keep it all nice. OK?